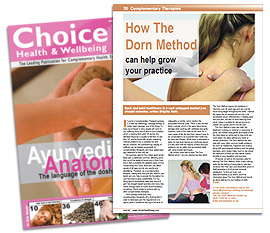 Massage World Magazine have printed a great article covering just how the Dorn Method and Sports Massage can become a powerful combination when used together. 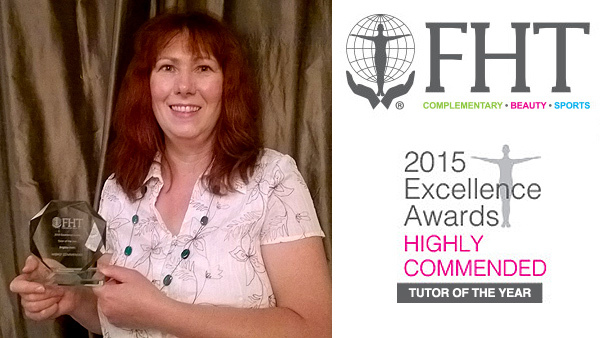 I am so proud to announce that I was nominated for the Federation of Holistic Therapists 2015 Excellence Awards and won the Highly Commended Tutor of the Year Award. Can you imagine my surprise when I opened a rather plain looking envelope adressed to me from the FHT to discover that I had been nominated for an award at the up coming FHT 2015 Excellence Awards. On that wonderful ceremonial evening I was awarded the Highly Commended Tutor of the Year award which thrilled me to bits. I love teaching Dorn and this award really tops it all off. Thank you so much to those who voted for me. Dorn Haus arrives in Stratford upon Avon to promote The Dorn Method! 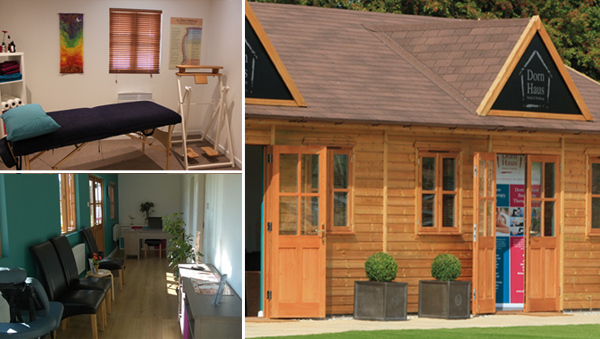 Dorn Haus Complementary Therapy Centre is my new therapy centre dedicated to offering Dorn Method Back care and popular complementary therapies to clients at Stratford upon Avon. Located at the Stratford upon Avon Garden Centre, Dorn Haus opened it's doors in September 2014. As well as a dedicated Dorn Method section, Dorn Haus also offers a wide range of popular complementary holistic therapies by other therapists to help support and improve health and wellbeing. The tranquil and relaxing therapy centre offers easy access for wheelchairs, includes a toilet and spacious, quiet and comfortable therapy rooms all with fully adjustable couches, with ample parking for visitors. The overall aim of Dorn Haus is to help promote and popularise the Dorn Method - and so far it is working very well indeed as I am getting many, many new referrals from brand new clients (as well as old clients of course!) who are telling their friends, relatives and work colleagues how well they feel after a Dorn session! This is great to see and just shows how well the Dorn Method really does work! Please take a look at the Dorn Haus website for more information. The German Dorn Kongress 2013 in Memmingen. The German Dorn Kongress is always a very exciting event. It was held in the Bavarian town of Memmingen near the home of Dieter Dorn. The event was open for Dorn therapists as well as the public. People could receive a taster treatments, listen to lots of different talks or attend workshops on all aspects of the Dorn Method. It was very well visited with over 2000 people and there were also lots of stands like books, equipment, different therapies etc. All in all a very successful event and a great time to catch up with my German Dorn colleagues and friends. 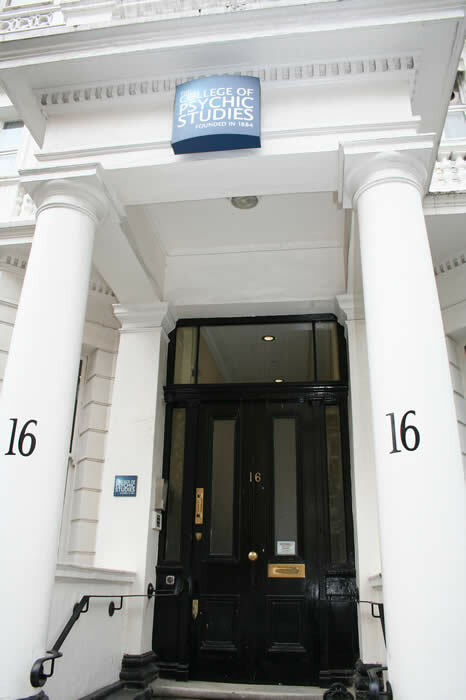 I've just held my first workshop at the London The College of Psychic Studies which is a great venue for my Dorn Method Workshops as it's ideally placed for those wishing to learn Dorn in London and not have to travel up to Stratford upon Avon where I usually hold my workshops. The staff there were amazingly friendly and helpful, the room and facilities were also superb, with a fully kitted out kitchen and I must say an amazing library of old and rare books (especially cool if you're into any matter of Psychic study). The college is situated in Queensberry Place, a short walk away from the major London Museums (Natural History/Science) and South Kensington Station is 10 minutes away on foot. It's also not far from the major rail stations such as Marylebone. There's also plenty of excellent accomodation around too. So if you are considering coming onto a Dorn Method Workshop, I'd happily recommend this London Venue, especially if you live near by or can get to London easier than my home town of Stratford. 50th Workshop held in London! I've just got back from a wonderful 50th workshop held in the lovely Covent Garden in London this weekend, and what a really nice bunch of students I had the pleasure to teach. I love London and what a stroke of luck to have it held in Covent Garden. I've got to say thank you all so much for making this weekend such a lovely experience, it was a pleasure to meet and teach you all and I hope you all enjoyed it as much as I did. It was also extremely nice to see Dorn at work. One of the students came in on the second day and expressed her delight at how Dorn had made a huge differnce to her after suffering back pain for 6 years! That really made my day. I wish the very best of luck to all my students on the 50th Dorn workshop - a huge well done to you all! 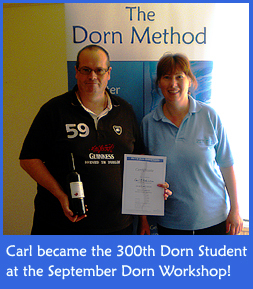 A nice surprise and congratulations were in order when Carl discovered he was the 300th student to have attended one of my Dorn Method workshops, and of course very happy to receive a bottle of wine! I can't believe how quickly time has passed and how many faces I've seen! 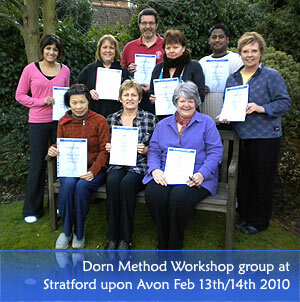 Over 300 students have now studied The Dorn Method at one of my Workshops either in the UK or Ireland. A lot of hard work goes into preparing for each workshop, but they are always enjoyable and you meet such lovely people! I wish the very best of success to all who have studied Dorn. Well done, you now have a wonderful and extremely valuable skill. Travelling the world to learn Dorn! It's great to see the popularity of Dorn spreading all over the place! 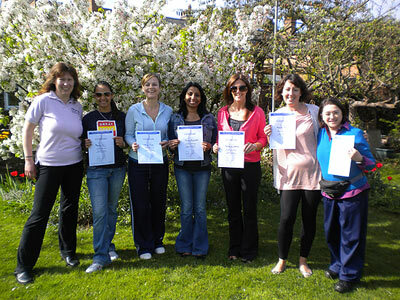 In the spring workshop held back in April I had people literally travelling in from all over the world - truly amazing! We had a student travel all the way from New York, another student fly from Grenada in the West Indies, two from the UK from Cheshire and Derbyshire, another from Italy (currently working in London) and finally another from South Africa (also working in London). It is always so nice to meet such lovely people, and especially more so because they come from all over wanting to learn The Dorn Method. The lovely spring photo above was taken after the two day workshop. Student testimonial: Thank you so much for giving me the ability to help people with their back and joint problems. I have been looking for something like this for a while and really feel that I will be able to help people a lot more now without having to always refer people..... – Cheryl F.
Thomas Zudrell, a well known and seasoned top Dorn Method trainer who teaches all over the world came over to the UK to deliver the second UK Advanced Dorn Method workshop. Just like the first advanced workshop held last year, this one was a really educational experience and which added so much value for everyone present. 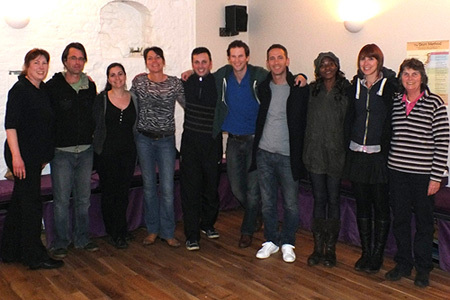 The workshop was packed with Dorn therapists from all over the UK eager to pick up what Thomas had to teach. Everyone definitely finished on a high, with one student referring to the workshop as 'mindblowing'! A big thanks and congratulations to all who attended and of course thanks to Thomas for coming over and holding such a wonderful event. It is with great sorrow that I must announce the passing away of Dieter Dorn on 19th January 2011 after a long illness. The founder of The Dorn Method, he was a truly remarkable and inspirational man who gave so much and took so little. He will be greatly missed. Our thoughts, prayers and deepest sympathies go out to all his family at this sad time. The FHT invited me to do a talk at one of their regular local meetings, this one held at Oxford. These talks are usually an hour or so in duration and are a great chance to socialise and for Therapists to get a taster of The Dorn Method, ask questions, experience some Dorn techniques, etc. I'd be more than happy to consider holding a talk to a group near to where you live, so please do get in touch if you'd like me to come and talk about The Dorn Method to a group of local therapists. I've been busy trying to spread the word about Dorn and have written a few articles which were published in various magazines. I've also put copies of them at this website for you to read here. I'm really pleased to anncounce that my Dorn Method Workshops have been accredited by the Completmentary Therapists Association, one of the leading organisations representing Complementary Therapists in the UK and Ireland. The increasing recognition of professional bodies such as the FHT and CThA is very much welcomed and I hope this will help to promote The Dorn Method throughout the UK where we really need to see more Dorn Method Therapists to meet the demand of Back Pain sufferers. 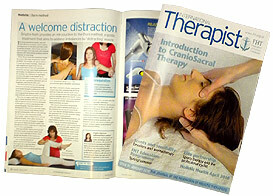 Therapists belonging to the CThA who have Level III A & P and Massage qualification will be able to gain CThA CPD points and insurance cover (of course there are no pre-requisites required for those who just want to learn The Dorn Method for educational purposes, self-help or to help family and friends). First Advanced Dorn Workshop in the UK! Thomas Zudrell, a well known and seasoned top Dorn Method trainer came over to the UK this weekend to deliver the very first UK Advanced Dorn Method workshop, and what an educational experience it was! Talking to a packed room of Dorn Therapists eager to learn more, Thomas was able to add so much to everybody's level of understanding. What was clearly evident was the excitement that grew in everybody present. One of the main messages Thomas gave was that Dorn should not be a treatment to be kept within the isolation of a Therapists practice, but to be delivered as a self-help therapy so patients can continue where the Therapist left off. We also had students not only from the UK, but all the way from Nigeria, Slovenia and Australia, which is of course 3 continents. Truly amazing! Then again, Thomas himself was training in Hong Kong only last week, just showing how Dorn is spreading globally. New Dorn Method Website Launched! I'm really pleased to announce the launch of a brand new Back Pain therapy website. This website was created to help educate the public about The Dorn Method. It provides plenty of information about The Dorn Method with the aim of helping the public understand what Dorn is all about, and how it can help if they're suffering from Back or joint pain. Also included in the website is a Dorn Therapist directory, called 'Find a Therapist' which will help website visitors find a Dorn Therapist near to where they live. If you're a Dorn Therapist, then why not use this website as an information point for any of your clients who have questions relating to Dorn - that's what this website is for! I thought it would be very beneficial to get an article published which highlights how The Dorn Method can help Therapists grow their practice. It was very kind of Choice Health to publish this latest article, it's in their June/July 2010 issue. As shown on the Why Learn The Dorn Method page at this website, one of the reasons for learning Dorn, apart from the benefits it brings to your client's from a health perspective, is that Dorn is a relatively easy therapy to learn, and one that can bring lots of word-of-mouth business, something vital to help your practice grow. You can download the magazine from this link as an Adobe pdf Choice Health Magazine June/July 2010 or read the full article at this website by clicking here. The Holistic Health Show at the NEC was a great place for me to share The Dorn Method with other Therapists and to show examples of Dorn techniques. My aim was also to demonstrate Dorn as a very serious contender in the field of Back and Joint Pain therapy, and therefore a great skill for Therapists to learn which can offer enormous opportunities for them. The show was a wonderful opportunity to meet and talk with so many therapists, which I really enjoyed, and also meeting many from previous workshops which was especially lovely. If you were one of those who came over to chat, and have further questions, please visit the Forum and post any questions you might have there (so we can share it with others), or if you prefer, just send me an email and I'll be happy to help. I'm excited to announce the launch of the Dorn Method Forum. It's taken a while to get it up on the web, but now it's finally here and ready. One of the aims of the forum is to give me an easy way to answer questions that people have about Dorn, and instead of just being able to answer one person at a time, I can now share information with everybody. Of course the Forum is there for all to use and enjoy, so please do register, and then subscribe to any Forum categories you'd like to keep up to date with - and get posting your messages too! Here's the link to The UK Dorn Method Forum. 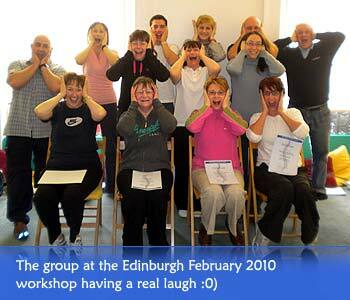 Edinburgh Dorn Method Training Workshop, Feb 2010 - What is going on? This was my first visit to Scotland and what an eye opener it was. Edinburgh is an amazing city, with such friendly, fun loving people - as you can tell by the group photo here with everyone at the Workshop having a laugh. Just goes to show these workshops are not all work and can involve a bit of play - or was there something in the tea at break time? I think they're practicing jaw correction self-help excercises, but I reckon I need to be a little more careful next time and ensure I keep my eyes open for that Scottish Whisky jar - lol. I've just heard from a therapist who was on one of my workshops that the organisation she belongs to, The Complementary Therapists Association, have now added The Dorn Method to their insurance too. That's excellent news for therapists who belong to CThA. Congratulations to the happy :0) bunch of students who attended the first Dorn Workshop of the year in Stratford upon Avon. Just thought I'd post the nice group photo here. As I remarked recently in another post, it's so nice to meet such lovely people at a workshop, then always a shame to say goodbye just when you feel you get to know them! But of course we'll be following up and keeping in touch on the progress of their new Dorn skills. Well done, you were all really good students who got on well and were really keen to learn! No, it's nothing to do with the fact that I live in William Shakespeares Stratford upon Avon that I find myself again writing articles for publication - I hate writing (lol)! However, The Dorn Method is such a wonderful and effective therapy for treating Back and Joint Pain, so I believe it should be a part of every Complementary Therapists toolkit, so I'm working hard to get it as well known as possible in the UK. This is my third article to date, and I'm very thankful for the FHT to include in their January 2010 issue of International Therapist Magazine. You can visit the FHT Website here and to see why I think everyone should learn The Dorn Method, click here. I never knew High Wycombe was so hilly! I was invited to talk about The Dorn Method last night (Monday 18 Jan 2010) to a really lovely bunch of people from in and around the High Wycombe area at the local Federation of Holistic Therapists (FHT) meeting. There were around 20 people present, and I think I can safely say that everyone enjoyed the evening. I tried to do quite a bit of demonstrating so that people there could get a good understanding of what Dorn actually involves. I'm always keen to hold talks and Dorn Method demonstrations, and to show just how beneficial Dorn is as a treatment for Back and Joint pain; so if you'd like me to hold a talk for your local group, then please do get in touch with me.